ARTISTS CARE ABOUT BRIDGES – Build a bridge by extending your hand and joining us in creating an open, inclusive and progressive Europe. Under the current social and political climate, in which the rise of ever more global nationalism and political backwardness is strengthened daily, we as artists, curators, activists and people need literal and metaphorical bridges to stand united and to take action together. Bridges are meeting places, they allow for possibility and for discourse. The collaboration Artists Care About Bridges was hosting a series of fundraising events on the third weekend in Advent at Acud Macht Neu; including a club night, an art auction as well as the sale of Christmas trees from organic farming. These profits went to the organization SEEBRÜCKE (https://seebruecke.org/). SEEBRÜCKE is an international movement that receives support from the community as well as several civil society alliances and whose mission is to create safe harbors. 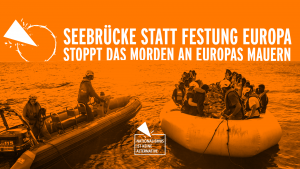 SEEBRÜCKE will not accept Policy Makers and Governments who let people drown in the Mediterranean Sea to further seal off Europe and win political points. Artists Care About Bridges agrees that this is unbearable and against any humanitarian values. Migration is and has always been part of our society! Instead of closing borders, we need to provide more bridges, to encourage a Europe that is open, and support cities that show solidarity and provide harbors that are safe and humane. We declare our solidarity with societies who are forced to flee their homes. From German and European policy makers, we demand the establishment of safe routes for refugees, to stop the criminalization of sea rescue and to receive them in a human way whilst respecting their rights. 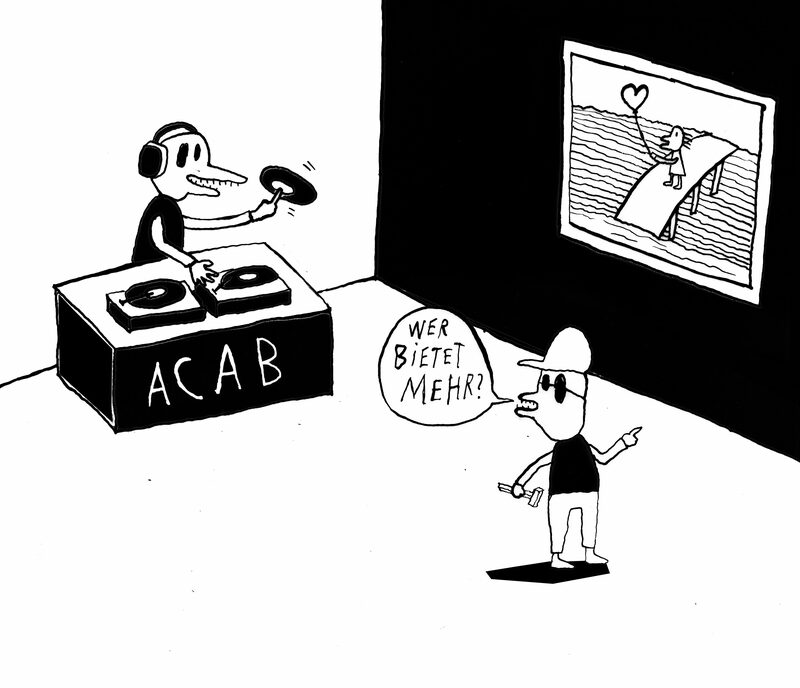 is a collaboration of activists that was conceived by cultural producer Kathrin Pohlmann and artist Anne Duk Hee Jordan, joined by the curators Pauline Doutreluingne and Petra Poelzl (Karma Ltd. Extended) and supported by Bioland Herbarium Leipzig and Acud Macht Neu. Build a bridge by extending your hand and joining us in creating an open, inclusive and progressive Europe.